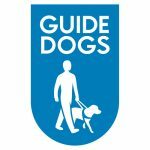 ‘Guide Dogs‘ is launching a campaign aimed at cyclists, asking us to look out for them. 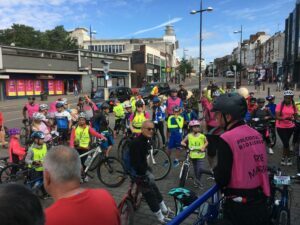 There will be a press event at a location where cyclists have a poor reputation for not giving way to pedestrians at traffic lights. Pay attention – look to see if the guide dog and owner, or person with a cane are waiting to cross. Remember that they can’t always see or hear you. If you see the guide dog and owner or person with a cane waiting to cross, use your bell or call out to let them know you’re there. If the guide dog and owner or cane user are already crossing the road, please stop and wait until they’ve reached the other side. Do not cycle up behind or around the guide dog and owner, no matter how much space you think you’ve given them. The dog may be startled and get confused. If you need to use the pavement for any reason, please dismount. Bumping off the kerb onto the road can scare and confuse the guide dog.